Antennas receive over-the-air broadcast signals from major network providers, delivered in digital format since 2009. 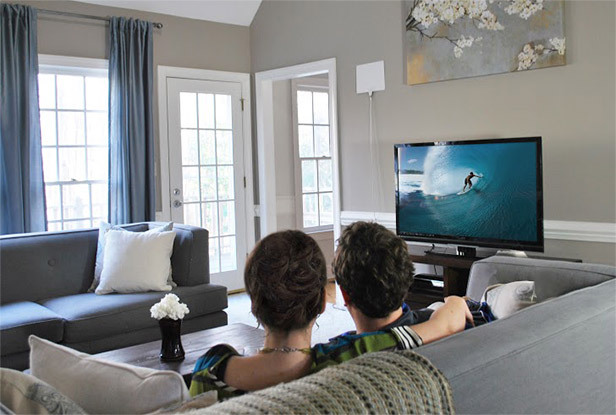 Antennas are not a relic of the early days of televisions, but provide a low-cost alternative to cable and satellite TV as well as a supplement to streaming services. If you're frustrated with the rising cost of cable and satellite TV, you'll be pleased with the remarkable number of free programming options available over the air. More channels are available, and the major television networks have expanded their channel lists, broadcasting lots of new and specialized content. If you've ever been lured into a great deal from a cable company, you may have found yourself locked into a one- or two-year contract with that company, limiting your short-term freedom in a rapidly changing broadcasting field. Rain or snowstorms can completely disable a satellite television signal, making it not only annoying, but potentially dangerous if you are unable to access emergency information on your TV. While both over-the-air broadcast TV and cable or satellite TV providers use some compression while transmitting digital signals, there are fewer channels in the over-the-air broadcast stream, so less data is lost in compression, and your television picture can be noticeably sharper and clearer than the channel-laden cable system. If you live in an urban area, you probably live close to a broadcast tower and can choose a nonamplified or passive antenna. However, if you live more than 25 miles from the nearest tower or if your home is surrounded by obstacles like trees, hills or other buildings, you may want to invest in a powered antenna with an amplifier to pick up weaker broadcast signals from more distant towers. A directional antenna allows you to aim the antenna in the direction of the nearest tower to get clear reception. These antennas are ideal for suburban and rural areas. Omnidirectional antennas receive signals from multiple directions, allowing you to place your antenna in any direction without losing signal. It's ideal to be within 25 miles of a tower for an omnidirectional antenna. Right now, there is very little 4K content delivered over the air, so check with your local broadcasters to see what is available. Remember that you must also have an antenna that receives a 4K signal and a 4K Ultra HD TV in order to watch this 4K programming. First, find out how strong the over-the-air broadcast signals are near your home. You can enter your address at this FCC website to see what kind of reception you get and which channels are offered. Decide whether you want or need an indoor or outdoor/attic antenna. An outdoor antenna placed on your roof will provide better reception since it raises the receiver above most obstructions (trees and buildings) located between the antenna and the tower. You may choose an attic antenna to bypass obstructions, while also complying with neighborhood guidelines. Keep in mind that an attic antenna may lose some signal strength from building materials and insulation. 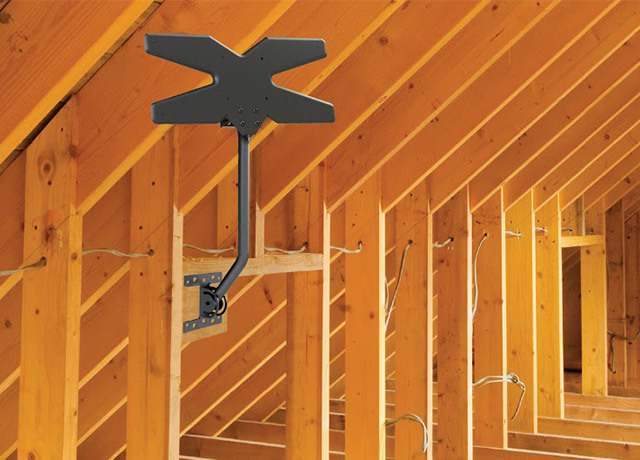 Roof or attic antennas provide reception for TVs in all of the rooms in your home — you should use splitters to run the antenna cable to each room or TV. Connects to one TV and requires power, but can help boost a signal impeded by building and trees. Receive over-the-air signals from nearby broadcasting towers. Requires no power outlet and connects to one TV. Mounts to your roof for a clear line of sight to a broadcasting tower. Requires power but boosts weak signals from farther towers. Unpowered antennas that mount to your roof or other high place to achieve a clear line of sight to a broadcasting tower. Capable of receiving over-the-air 4K content where available. Enhance the signal strength of your AM/FM receiver for clear radio reception.